Newcastle United boss Alan Pardew has publically admitted he is an 'admirer' of the England international, who is out of contract at Cardiff this summer. But Bothroyd told Twitter: "I'm a Cardiff player I'm focused on getting promotion with the Cardiff faithful. "Newcastle is a great club but I'm really happy at Cardiff. 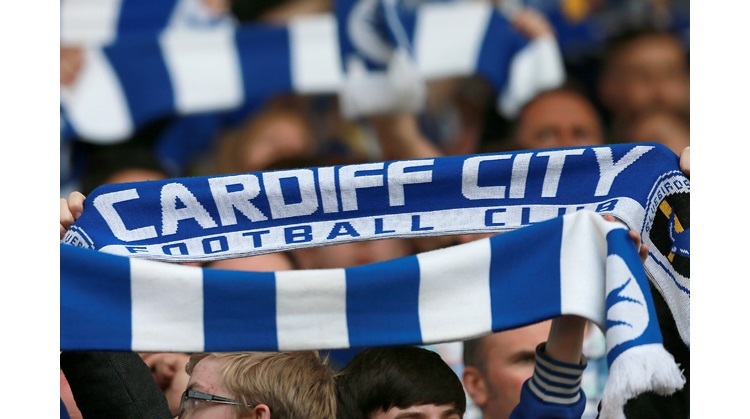 Cardiff's 15-goal striker - who has helped fire the Welsh club to Premier League promotion contenders - is apparently interesting a host of Newcastle's top-flight rivals such as West Bromwich Albion, Birmingham City, Fulham and Blackburn Rovers. But reports suggest Premier League new boys Newcastle have already held preliminary talks in a bid to sign Bothroyd. And Toon boss Pardew admitted: "The only thing I want to say is that Jay is a player I admire. I wouldn't want to say any more than that." Bothroyd is Cardiff's top-scorer this season despite missing the past six weeks with a hamstring problem that he initially sustained in their 1-1 draw with Preston on 4 December. But the 28-year-old suffered a set-back when he suffered the injury again as he recovered from the problem. Bothroyd is still out but the best form of his career is seemingly attracting top-flight suitors and apparent interest from Spanish clubs. Cardiff are in negotiations with Bothroyd's agent Sky Andrews in a bid to extend his three-year stay in south Wales after he signed from Wolverhampton Wanderers for a bargain £300,000 in summer of 2008. Bluebirds boss Jones insists Cardiff have no formal approach or bid for Bothroyd, arguably the most influential frontman in the Championship, who could leave the Cardiff City Stadium on a free transfer in the summer when his contract expires. Jones has warned potential Bothroyd admirers that he does not have to sell his star players in this January transfer window. "There has been speculation about Jay for the last couple of months - and nothing seems to happen," said Jones. "If an offer comes in and it is the right offer for the football club then I'm sure the decision will be made if it is good for the club or not. "Jay is out of contract at the end of the season and we're in negotiations with his agent. "We're trying to get it done and if Jay decides that no, I'm not going to do it then that's fine. I'm not going to lose any sleep over it. "We want Jay to sign but we have to fill the shirt and no player is bigger than the football club."